4 in x 5 1/2 in x 16 Gauge Simpson SCB Bypass Framing Slide-Clip Connector Kit at Cowtown Materials, Inc. 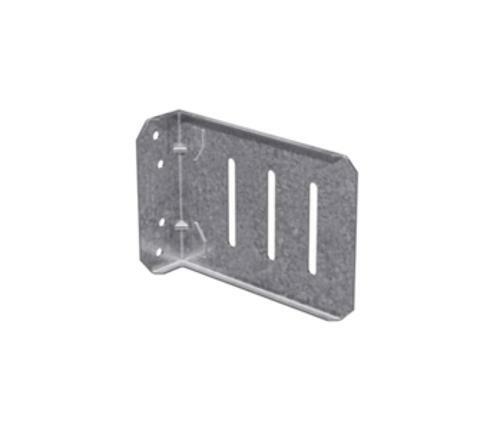 The SCB/MSCB slide-clip connectors are high-performance connectors for bypass framing applications designed to reduce design time and overall installed cost. Various anchorage methods have been tested, and the resulting allowable loads eliminate the need to design connector anchorage. The SCB/MSCB can accommodate applications that typically require two parts with a single connector, reducing material and labor cost. These connectors are manufactured in five different lengths to accommodate a variety of stand-off conditions and steel-stud sizes.